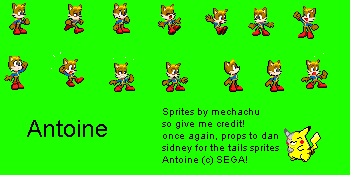 ﻿ The Sprite Cemetery/The People's Sprites: Sonic the Hedgehog Annex. Antoine D'Coolette. by Mechachu.